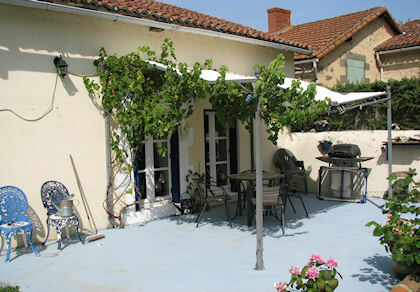 Hello and Welcome to Gite in Vienne - holiday accommodation in France. We have two lovely and very different gites to offer in the Vienne area of France. This is a very pretty area with some lovely walks. There are lots of places to visit, mostly within an hour’s drive. If you are thinking of buying a house in France, this is the place to be; the weather is good, the French people in this area are wonderful, and the house prices are still more reasonable than in other areas. 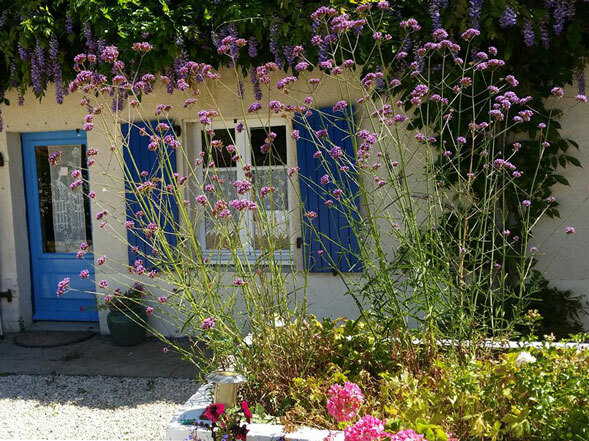 Chez Le Musicien is a pretty gite to be found in a small hamlet of Le Port, Moussac, very close to the River Vienne. There are many pretty walks in the area; also, for the more adventurous, a kayak centre and bungee jumping in nearby L’Isle Jourdain, which is lively in summer, with 3 bars and restaurants. Les Hirondelles is a recently renovated farmhouse, also in a small hamlet. With three en-suite bedrooms, it can operate as a gite or as Chambres d’Hotes. Once again, there are many lovely walks around; the terrain is fairly flat. We are near the village of St. Martin L’Ars which has a lake and beach area, with safe bathing ideal for children, and a cafe/restaurant on the lake. We are a 15-minute drive to L’Isle Jourdain. Both gites are situated within 10 minutes of the Val de Vienne racing circuit. Each are well equipped with quality bedding, towels, crockery etc. Bicycles are available, on request. Your hosts, Anne and Matt endeavour to make your stay as enjoyable as possible, and strive to accommodate any additional requirements you may have.